This issue I’m highlighting a few of our best summer-oriented posts, including topics like end of year reflections, field trips, and a great resource for long hours in the car. We will be back again next month with a regular issue. Enjoy! Summer is more laid back than the rest of the year, and it’s a great time to take homeschool field trips. You won’t be rushing because you are behind for the week, and you won’t have to deal with bus loads of school kids creating long lines. 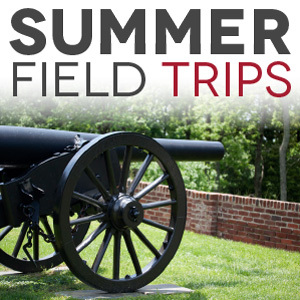 Check out our listings of field trips by state (destinations are listed by city within each state) and find a couple of museums, parks, trails, historical buildings, or other destinations that will spark learning for your kids and enjoy them this summer. Don’t forget to review our tips for How to Put the “Feel Good” Into Homeschool Field Trips! Ahhh… summer! Warm weather, trips to the pool, vacations to the beach, out of school… Or not. 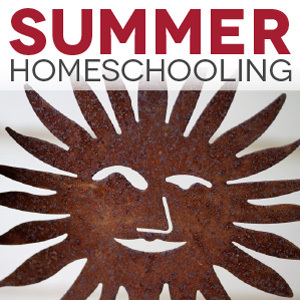 Yes, for many of us homeschoolers, summer doesn’t necessarily mean “no school”. Homeschoolers have the flexibility to choose the level of education they wish to do during the summer months, as they do the rest of the year. And every homeschool family does it differently. Some families school straight through the summer, some take some breaks but continue to school some as well, and other families take the summer off completely. We do the combination approach. That means we do some school, but we also take some time off — and when we are doing school in the summer, it usually looks a bit different from the rest of the year. You’ve made me a better cook. You’ve made me a smarter shopper. You’ve reduced my stress level for quite awhile now. I’ve bragged about you and your menus to every mom that I know.” ~ Michelle N.
Get the 125 page eBook Frugal Mom’s Guide to Once a Month Cooking (reg. $10.95) AND Bulk Cooking for the Freezer: Ground Beef (34 pgs., reg. $6.95) free with your 52 Week Dinner Menu Pack purchase! 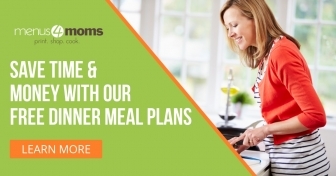 For less than $1.25/week, you get our 52 mom-tested weekly dinner menu plans, the Guide to Once a Month Cooking (includes a step-by-step guide to freezer cooking, once a month cooking forms, and over 6 dozen mom-tested freezer recipes), and 3 planned leftover guides (chicken, beef, and pork)! At first, particularly if you are new to homeschooling, it may seem like there are no homeschoolers around at all. But chances are very good that they are just hidden in plain sight! Families in many areas have established homeschool groups that meet for field trips, projects, playtime, and even parent-run classes. Finding them can be the hardest part. Some homeschool groups maintain a low profile to respect or protect the privacy of their member families. So it can be challenging to make that first connection. 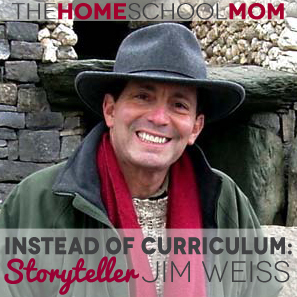 But homeschoolers, in general, are very resourceful and well-connected, and once you’ve found one local homeschooling family, you may soon hear about others. In a previous post, I encouraged parents not to obsess over grade level to the detriment of their child’s actual engagement and learning. 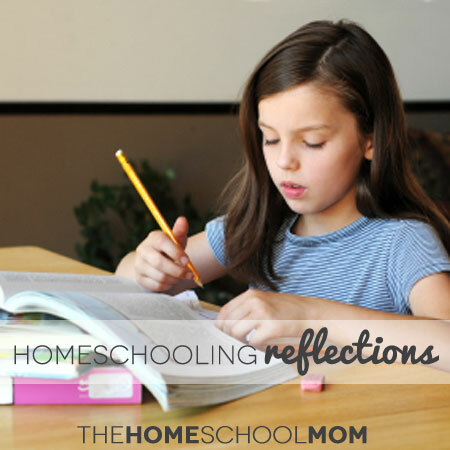 However — yes — I concede there are times you do have to think about grade level, and your child and your homeschooling efforts will benefit if you do.